Christian Dean of the Vancouver Whitecaps has been out for two months and is recovering from foot surgery on his left foot at the end of March. The center will reportedly be out for another one to two months to fully recover from the surgery, which was done to repair a fifth metatarsal fracture. Dean was the No. 3 overall selection in the 2014 MLS SuperDraft and has made nine MLS appearances in his entire career. He was key in the Whitecaps’ 2015 CONCACAF Champions League and Amway Canadian Championship runs. 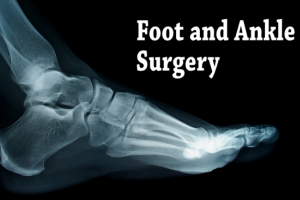 If you require surgical consultation, consult with one of our podiatrists from Foot HealthCare Associates. Our doctors will provide quality care for your feet.